Snap is considering extending the lifetime of publicly available photos and videos created on its flagship Snapchat app. The Snapchat features most folks are familiar with are its private messaging system and the app’s ability to then delete those private messages after a set period of time. 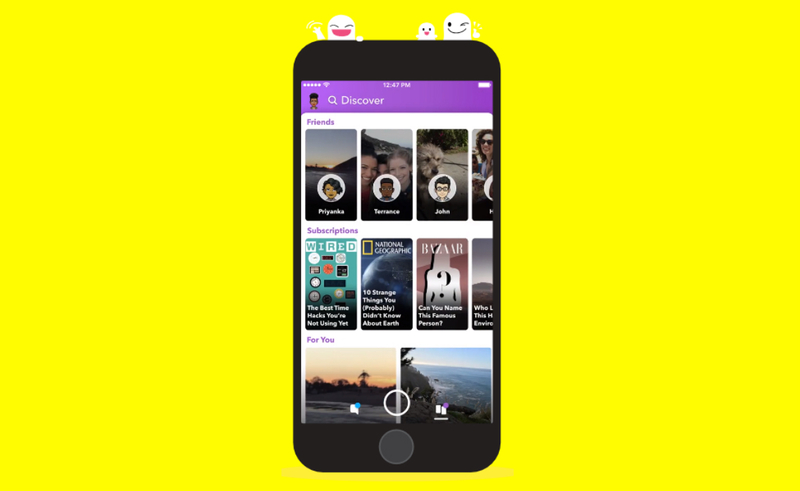 However, users can also choose to add photos and videos taken with the app to another of Snapchat’s features: ‘Our Story,’ a huge collective of user-generated content. Right now, Our Story content — which becomes anonymous once it’s added to the collective — is available for 30 days, and then auto-deletes. But this short lifetime, as well as the fact that Our Story doesn’t reveal who submitted each photo or video, has caused problems in Snapchat’s partnerships with four news organizations, prompting Snap to consider policy changes, Reuters reports. Some of the organizations refuse to embed Snapchat content in articles because the content will eventually disappear, leaving a gap in coverage. Others said they don’t use Our Story photos or videos because the creators’ names are hidden, so it’s not possible for journalists to get in contact with them and independently verify the content. Sources told Reuters Snap plans to sign partnerships with four more news organizations, so this change in lifetime is likely to manifest soon. When Snap launched Stories Everywhere in 2017 and later signed its original four news partners, the initiative was an attempt to broaden the reach of Snapchat content. Snapchat didn’t charge news partners for use of users’ content — but the move was likely made in hopes of attracting more people to the platform, which lost millions of daily active users in 2018. Snap is also under financial pressure, with stocks currently closing at 60% below their initial public offering price from back in March 2017, per Reuters. On top of user and financial woes, Snap has been hemorrhaging executives over the past year. The string of departures began with the company’s first chief financial officer, Andrew Vollero, who quit in May 2018. Departures in the latter half of 2018 include chief strategy officer Imran Khan, VP of content Nick Bell, VP of product Tom Conrad, VP of investor relations Kristin Southey, VP of communications Mary Ritti, and sales head Jeff Lucas. Earlier this month, Snap lost its head of HR Jason Halbert and its head of global strategic partnerships Elizabeth Herbst-Brady. And Vollero’s replacement, former Amazon executive Tim Stone, quit less than two weeks ago, after being with the company for eight months.